Over the past few years I've had the pleasure of working on a number of projects that have related to people with needs and others who help them - children, people with a disability, older people needing care and those who are suffering illness. They are some of the best people you'll meet. I've been involved in projects to provide software to people needing care to make it easier for them to find the carers they need. I've helped providers to build more usable websites to bring services closer to those who need them. I've listened to awesome people such as Northcott Innovation and their project to bring to market a stair climbing wheelchair. I've helped the NDIS to research their market and define the shape of their upcoming services. 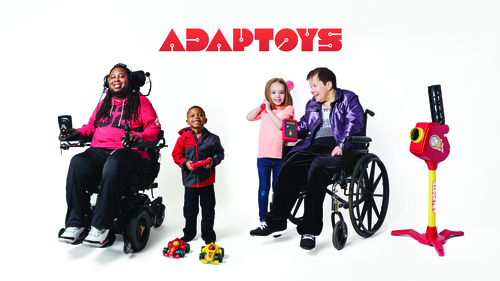 So when I read this week about Adaptoys (adapttoys.org), supported by the Christopher & Dana Reeve Foundation, I was really intrigued. I've lived with a daughter being temporarily paralysed (fortunately only for a few weeks), and I've had the pleasure of interviewing several people who have learned to live with full paralysis. I can't begin to imagine the challenges that brings, but I can imagine the pain of not being able to play with your own children. Having five kids in the family I can imagine how painful life would be if you could watch your kids play, but never join in. That's the problem that Adaptoys has set out to solve. Their approach so far includes a remote control car, controlled by a breathing straw. Move left and right with the straw and the car shifts direction. Breath out and it accelerates, breath in and it slows then reverses. Another prototype uses a simple voice control unit to control a baseball pitch machine for kids. To extend this idea, the Reeve Foundation and its partners in this initiative, have launched a crowdfunding campaign at Adaptoys.org to raise funds to support the research, development and cover production costs for at least 100 adapted remote control cars, which will be distributed to individuals living with paralysis through a random lottery selection. I got such huge pleasure from reading about this project, and imagining how much further it can go. I made a small donation from the Fore, and I'd encourage you all to do the same. Play is key to us as human beings, to both our mental and physical health. Let's give play back to some people who need it, and deserve it. Oh, and just to bring this well and truly back into the realm of UX, I hit the biggest problem of all when attempting to make a donation - the site wouldn't let me. When I got to credit card details there was a huge bug in the coding that stopped data entry in the month and year of expiry for the card, blocking any attempt at payment. I figured out this appears to apply to just Chrome at this stage, and got round it using Firefox. I've let them know, but just be warned. And just this once, I'm being forgiving of the poor experience!